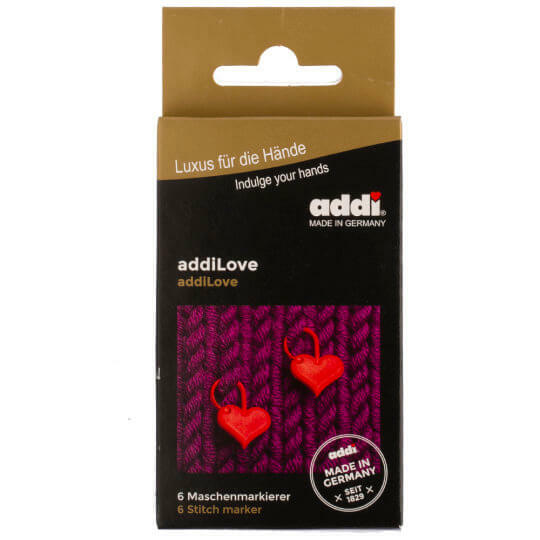 addi has worked meticulously with lots of love. 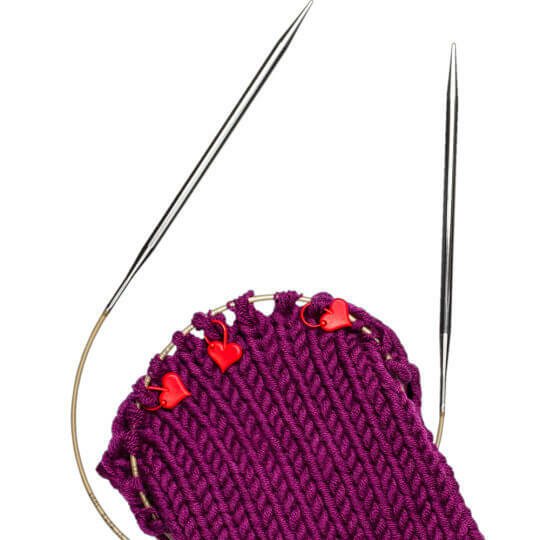 Original addi heart makes knitting easier for you. 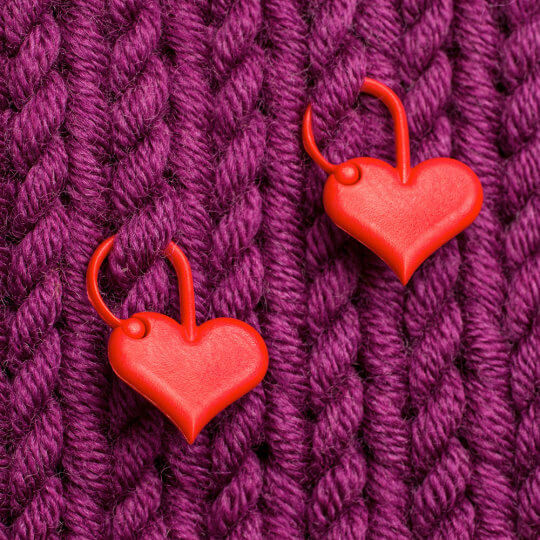 The little red hearts clearly mark your pattern in the knitting piece. A tinkering idea from addi. 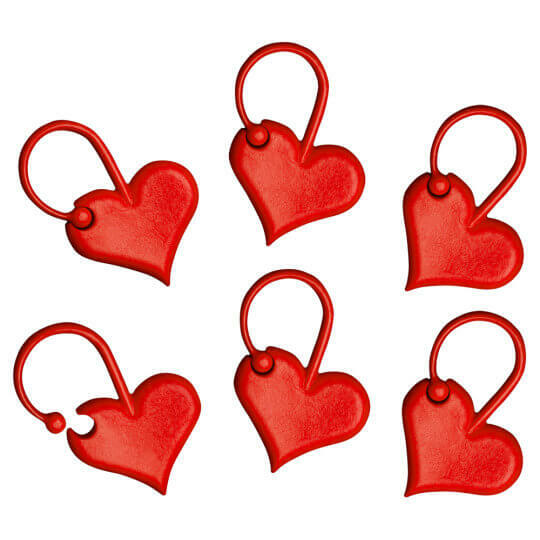 The addiLove stitch markers are manufactured near our company headquarters - naturally “Made in Germany”.